Stop wasting your time, Masjidway is here! Automatic sharing on your account and facebook pages For each post you can send automatically a tweet from your twitter account. With RSS feeds, update your website automatically by connecting it to Masjidway. Stay in touch with mobile Muslims via Masjidway application and your own application. Save your energy and your budget. Masjidway make your life easier! Masjidway offers a wide range of services : practical informations, prayers times, content management, pictures and videos publishing, fundraising module, events ... Everything you need to communication on the web et be visible. The growing prominence of smart-phones changes the way people connect to and explore the World Wide Web. 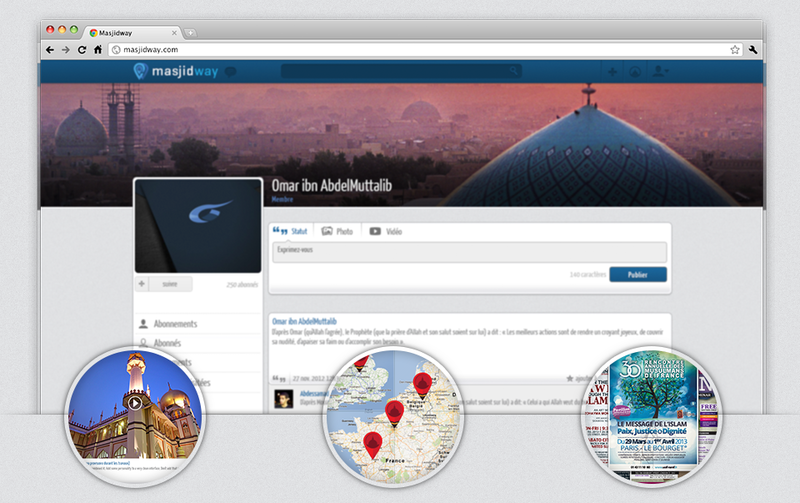 Masjidway helps you to create your own mobile application. An application with your logo and design for a few bucks. Which is the best way to reach the widest audience.